Once again, this is just a continuation of my HP-in-French project. This book went much faster. I read it in a few days. That’s probably because this is one of my favorites! I’m hoping to finish the project altogether before the last movie comes out in July! 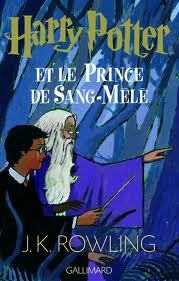 This entry was posted in 2011, Children's, Prose and tagged Harry Potter, mini-review, speculative, translation. Bookmark the permalink.